Connecting your WooCommerce Store with Square just became a whole lot cheaper. An exciting announcement was released from the folks at WooCommerce and the popular Square point of sale / payment processor. Beginning February 13, 2018, USA merchants can now integrate Square into their existing WooCommerce store for FREE. Last year Square came onto the WooCommerce add-on marketplace as a paid add-on. Many merchants were looking for a way to integrate a POS into their e-commerce business to accept off-line sales. At Bluehive Interactive, we work with several merchants who are artisans, often selling their merchandise at craft markets and farmer markets in the spring/summer seasons. We used to recommend options which were not deeply integrated into WooCommerce and required an on-going monthly subscription. In a recent study, Deloitte Consulting reported that more than two-thirds of shoppers are categorized as omnichannel consumers, preferring to engage in multiple channels throughout the purchase life cycle. With Square, you can accept online and in-person payments through a single solution and easily track your inventory across all channels. This partnership brings with it some very nice features. We are most excited to be able to solve the age old problem of keeping inventory in sync. Getting your products set up in both platforms is easy. Manually sync products from WooCommerce to Square, or from Square to WooCommerce — no need to set up items twice. When an item is purchased your inventory will automatically sync from Square to WooCommerce. New products created in WooCommerce will automatically be added to Square. Create and update products in WooCommerce and instantly see those changes in Square. All changes including product names and prices will be reflected in both WooCommerce and Square. Now that we have your attention, let’s take a look at some other great features. As an e-commerce merchant we know you are always concerned with keeping costs low, and one of the biggest areas is with credit card merchant processing fees – while also reducing charges backs and ensuring overall general security for your website. PCI-Compliance: Keeping your sales secure and compliant couldn’t be easier. Square complies with the PCI-DSS standards and there are no fees. Square Secure: Get Chargeback Protection and fraud detection at no cost so you can stay focused on your business. We couldn’t be happier with this announcement and we know that as an e-commerce merchant who works both online and offline, this solution will safe a huge amount of time and allow you to focus on other areas of your business. If you are interested in implementing this into your website or would like to learn more – don’t hesitate to reach out to us. Congratulations! You have decided to create a Twitter account. You say to yourself “What’s next?”. You know that talking to an empty room will get you no where. You need to grow your followers. You maybe thinking you need more manpower or additional costly resources. Twitter is one of the many social media channels which will allow your business to market and advertise without that overhead. The character count for a tweet on Twitter forces you to think about your. This concept enables you as a business owner to get a message out quickly and easily. Twitter was the first social media channel to create #hashtags. They simply work as tags to group tweets together containing the same thought. With your Twitter account, you can retweet, share and follow countless sites which could help you to gain new followers too. As a brand new business on Twitter, gaining popularity requires a sound footing. You have researched social media marketing strategies. You may have even started following other business and possibly a few field influencers. You have retweeted over and over again and maybe even posted some of your own original content with numerous hashtags too. But then when you take a look at your Twitter profile again, the number of your followers are way lower than those of the people you’ve been following. You may begin to second guess your approach and start to question why scandalous celebrities have greater number of followers and you’ve decided to create your own Kim K scandal of your own…okay maybe that is a bit tongue in cheek, but are you sure you are doing the right thing to be noticed? What could the issue be? Here are 11 mistakes that you shouldn’t be making on Twitter if you want to succeed and increase your followers. When creating a tweet, the primary goal is to have your followers retweet your post, but that relies greatly on the time in which it was posted. Posting in the middle of the night is not the action of a success business person, no should it be yours. If the people who are responsible for liking and retweeting are already asleep, you tweet will fall to sound of the clock going tick-tock. Look at your last tweet. Did you include hashtags in it? Maybe you put far too many in it, either way this isn’t going to get you anywhere fast. Referring back to the beginning of this blog post, I mentioned that hashtags work as tags to group tweets together containing the same thought. You should always include at least 1 hashtag in your post, but don’t clutter it either…we like to stick to 2. Your tweet is limited in character count and should be created with a single thought in mind. Hashtags create a higher visibility rate on Twitter. Offerpop reports that among all of the hashtags users, more than 70% of the people who use hashtags posting through their mobile phones compared to only 30% of those using hashtags on their computers. Remember, hashtags will help to increase your popularity in Twitter, but take it easy, no one likes a hashtag stuffing fool. Resist the temptation to take your mouse on a trip down Followers Lane. Following everyone may sound like a great idea, but it will not guarantee you a great number of followers. Just as in your everyday business, you should have a target audience for which you use to leverage your popularity on Twitter. One often overlooked feature in Twitter is located in the sidebar. Twitter displays recommendations on who to follow based on your industry. When decided on who to follow, do so with a strategy in mind. You want to identify those who would follow you back based on the balance between their followers and following numbers. Image if you tried to follow someone such as Ellen DeGeneres, with 76.6 MM followers, its doubtful that she is going to follow you back. Engagement! Engagement! Engagement! Engagement! Wow, I feel like Microsoft’s Steve Ballmer’s rant. But in all seriousness, engagement is the one thing that most followers and loyal brand fans prioritize above all else. The act of getting people to follow you is not all about your posts but mainly on how you engage with them via replies and direct messages. We use a tool designed for Twitter users, Followerwonk, which allows you to preform a search for key terms pertinent to your industry’s nature, and view the topics which have the highest response rates. This allows you to expand your social graph and through this, you could engage with them using the same key terms. One of our favorites queries is to compare the followers of any 2-3 users to find overlaps and new audiences. This powerful tool will surely help to find new avenues for followers. In order to be taken seriously and appear as an active Twitter user, you should take a moment to spruce up your profile. Be sure to upload a picture or your company logo. No one would follow someone who doesn’t even bother to edit their profile. Don’t be shy here. Include your website URL and tell everyone a bit about yourself or your company. It may not seem obvious at first, but for business brands, there is no reason to be shy or hesitant about giving it a try. Trying to ask for retweets may feel as though you are groveling, but it is a huge opportunity that most brands simply fail to realize. Reports say that asking for retweets results in 12 or more times RTs. Moreover, spelling out the entire word, ‘retweet’ than the abbreviation RT is 23 times higher than the latter. Then again, make sure that your requests are once in a while; too much might be annoying. Just as quick as someone clicked the button to follow you, they can click that same button to unfollow you and you end up back to square zero. 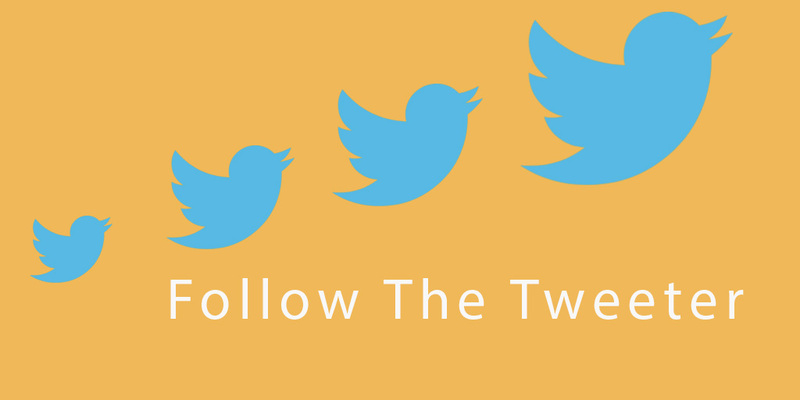 A Forbes article states that the more you tweet, the more likely you could have followers. However, this is not entirely correct. Though posting promotes visibility for your company, too much of it is appalling. So how much should you post on Twitter? It really is different for each and every industry and business. This is found through researching your competitors, reviewing how many times they tweet and engage each day, while striking a balance with what feels right for you. We’ve found that tweeting 5-6 times per day works best for us. Crafting an excellent tweet involves both quality and quantity. When social media expert, Avinash Kaushik was asked, he revealed that content is important to gain the applause of your audience. The key is to make your tweets short and catchy. Going back to what we said before, your strategy must involve tweets which are relatable to your target audience. Producing content for the sake of producing content will surly fill your Twitter feed, but producing quality content will go far and above to help you gain the attention of users and may well gain the retweets your page needs. This may seem like a no-brainer, but each week I encounter a handful of tweets which you click on the link in the tweet and it does not work. Always double check the links you include in your posts. We love to use link shortening services like Bit.ly to track our link clicks. It’s important to fully verify your link works before you create your Bit.ly link or you will have skewed data. Your aim should be to create posts which are both quality and credible, and have a target audience. You wouldn’t want to lose those followers who spent so much time acquiring by having something as simple as a bad link. The old adage, a picture is worth a thousand words, rings true in social media too. Every marketing strategy, pictures are like a moth to porch light. Tweets which contain images or even better, videos, have a greater chance of getting retweeted and engagement as well. Social media marketing strategies may differ from business to business, but these tips ring through regardless of the industry. In addition to the tips in this blog post, consider looking at conversation, amplification, applause, and economic value, the four tips of Avinash Kaushik’s social media metrics to help you in your campaign. Have you decided what to do with your Twitter followers problem? Scandals are for the desperate! Maybe it’s time for you to retweet more, change that profile picture, and tweet more! Take charge now and if you’ve resolved these issues, your Twitter account might fly as high and as viral as Flappy Bird! The folks at Automattic announced today that the latest version of Stripe for WooCommerce is available for download. If you have a monthly maintenance agreement with us, we will be updating this in your account within the next week. Let’s take a look at what has changed and what is new. As you probably already know, Stripe is a popular payment service provider for eCommerce stores worldwide, and is our payment processor of choice here at Bluehive Interactive for our WooCommerce customer websites. The new version shipped a major release with a multitude of new features to enhance your experience of working with WooCommerce and Stripe. We are most excited to learn that the checkout process with Strip is now fully PCI compliant! They made some changes to integrate the new “Elements” technology from Stripe into the WooCommerce gateway. The look of the checkout credit card fields may look slightly different, but we think this is a great thing and believe you’ll agree! The new payment section creates and displays the credit card form entirely via Stripe. This means the credit card form is fully PCI compliant, and the credit card information is sent directly to Stripe, without interacting with your store. The European markets long have had region specific payment gateways. This often meant installing multiple payment gateways within WooCommerce. Stripe has recently launched a new functionality called “Sources“. This adds the ability to accept multiple payment methods through the Stripe payment gateway – Apple Pay, Bitcoin, and a new selection of European and other non-U.S. payment gateways. Full details can be read in the Stripe for WooCommerce documentation on the WooCommerce Docs website. If you are reading this article you probably experiencing an issue with delivery of emails from your WordPress and/or WooCommerce website. Maybe you’ve found that your hosting company has limited your sending or worse yet, your IP was black listed due to spam complaints by one of the spam monitoring services. If you’re just sending your own personal emails through Gmail or your email app (Outlook or Apple Mail), your emails likely get routed through your email service’s Simple Mail Transfer Protocol (SMTP) service to your email recipient’s email service’s SMTP service. It typically just works, and so most of us just ignore it. But, what happens if your ecommerce website suddenly gets a spike in traffic or your order notification or new signup emails are not sending? Suddenly you need to think a lot more about how your emails get sent. You’ll very likely need a transactional email service, a dedicated email sending service that’ll make sure your emails get delivered no matter how many you need to send. 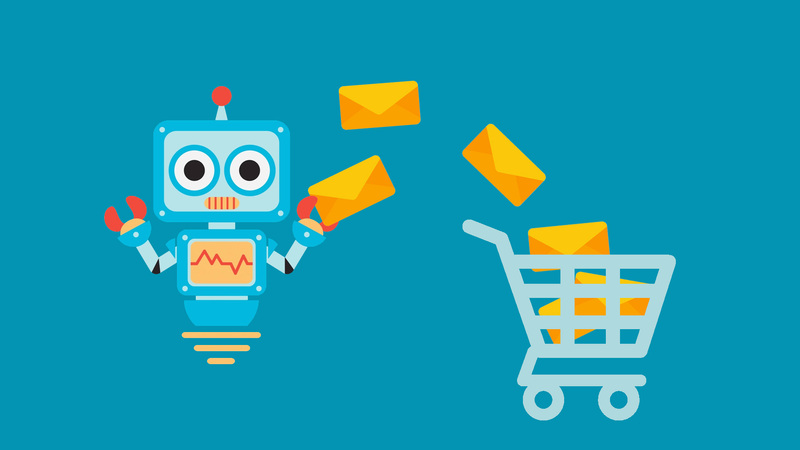 What are WordPress transactional emails? Transactional emails in WordPress are any server-related or informational emails your WordPress site or plugins might be sending out. When a customer places a new order via WooCommerce. If you have WordPress send you emails about new users. If you receive notifications that a comment has been made on your site. So you can see that transactional emails are vital to the ongoing management of many WordPress sites. At Bluehive Interactive we work with websites of all sizes. From ecommerce to your traditional small business website and even small bloggers. Regardless of the size of your website or whether you are engaging in commerce or not, if your site depends on a high availability of email deliverability, you should be looking into offloading your transactional emails to a dedicated provider. In today’s shared Internet world, there is a service for everything. You can run your application on WordPress, accept payments with Stripe, call phones and send SMS messages via Twilio, and add just about any other feature to your app or website with any number of other services. These “feature-as-a-service providers”, as entrepreneur Andy Chung calls them, give you the pieces you can use to build your project in less time. Instead of working out payment deals with banks and figuring out how to code a working internet phone system, you can spend your time making the app you want to build and let other teams focus on those problems. Email’s the same. There are a number of outside services—including Amazon SES, Mandrill, SendGrid and more—that let you send email messages via an API. Instead of building your own system to send email messages, you can add a few lines of code and then never worry about email again. Why use an outside transactional email service when your server could just as well send those emails for you? There are many reasons but one of the biggest reasons is that you don’t want to put your hosting server and IP address in jeopardy in case a truck load of emails get sent out at once because something occurred on your WordPress site. If you had a large community site and it was set to email all users when comments or new posts were made. This might cause your hosting server/IP address/domain name to be labeled as a SPAM originator. And that is something you do not want to deal with. The process of removing your domain from many of these SPAM databases is very time consuming. So What are the Options for Transactional Emails? There are several services out there and at varying price points. $0.10 per 1,000 emails sent. Amazon may have started out as the world’s largest bookstore, but today they’re also one of the world’s largest web services company. Best known for S3—file storage in the cloud—and their servers-in-the-cloud—Amazon also offers CDN services, online databases, DNS server and more. Among the offerings is Amazon SES, or “simple email service”, a transactional email service that’s also one of the cheapest and most barebones offerings available. At Bluehive Interactive, Amazon SES is hands down our recommended platform. It’s cost and level of deliverability can’t be beat in our opinion. At a cost to you of about $0.00001 per email, and only $0.12 per GB of attachments sent, it’s a no brainer for every website to be using it in our opinion. What is Involved with Setting it Up? You simply need to establish an account with the respected transactional email service of choice, install a plugin for WordPress and make some DNS changes. We are happy to help get you rolling with integrating any of these services with your WordPress website, but we think you’ll agree, Amazon SES is the best value and often is the easiest to setup. If you would like to learn more, don’t be afraid to reach out to us via our Contact page. Color Me Crazy – What is Your Social Media Strategy? In case you haven’t heard, on social media, Crayola announced that they will be replacing their long standing color Dandelion. 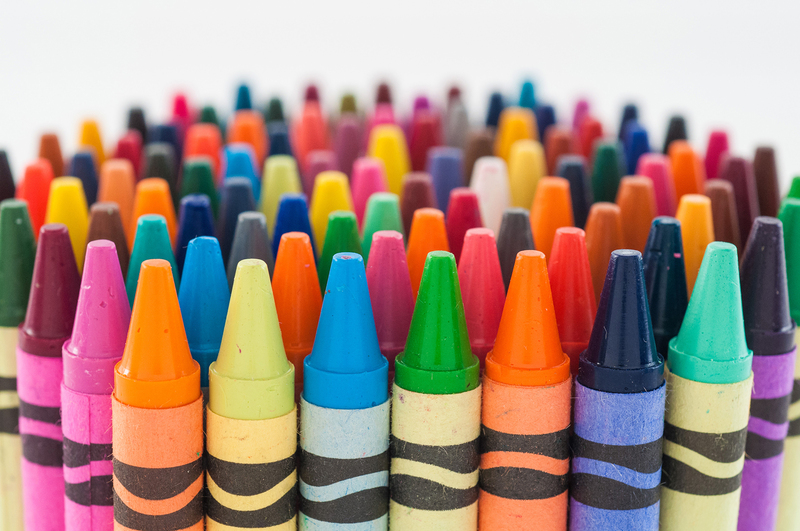 Today happen’s to be National Crayon Day – who knew! With such an important day in the life of crayon artists everywhere, it seems fitting that Crayola decided to make the big announcement today. People on the Twittersphere have taking to the airways to voice their concerns. Not to throw shade at you, but I don’t like your tone. What do you mean by retiring me, and the day before National Crayon Day of all days? Do you disown your mother the day before Mother’s Day to save yourself the cost of a greeting card? Crayola has taken a tongue-in-cheek approach to this. The decision to retire Dandelion didn’t come easy. This is the first crayon which has been retired in 100 years – but let’s be honest it was named after a weed. Creating controversy is just one of the many ways to cause a fury of conversation for your brand. 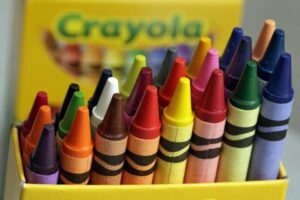 In the lead up to the retirement, Crayola planned a live stream on Facebook. They chose to announce their decision on a “holiday”. They also encouraged their audience to make recommendations for a replacement. When you are planning out your social media posts, have you employed any of those tactics? Social media is one of the most powerful tools in your marketing arsenal. When used correctly, you can create a strong personal connection with your prospective customers. At Bluehive Interactive, the part we enjoy most about social media is that it is just that social. Social media should not be owned by just 1 person within your organization. It should always be a team effort. Let the voices of all of your employees join the conversation. Goals define your high-level aims and objectives use SMART criteria to ensure each goal has a measurable set of criteria against which to evaluate progress. As with any journey, the first step in creating a social-media marketing strategy is to understand where you want to go. What is the purpose of your social media marketing efforts? Do you want to create or raise awareness of your brand? Are you looking to increase sales, or website traffic, or both? Is your goal to build customer loyalty and increase retention? These goals aren’t mutually exclusive, but you should focus on one or two: If you spread yourself too thin, you’re not going to accomplish anything. Regular customers who are already connected to you via social media. You want to retain them and increase their purchases and engagement with your social profiles. Take the case of Crayola above. They obviously are a well established brand with a huge loyal following. They knew immediately that their announcement to replace Dandelion would spark a conversation. Customer who have shopped with you before but aren’t regular shoppers and haven’t connected on social media. You want to nurture them, bringing them closer to you online and therefore increasing purchase rates. When it comes to social media, your competition can tell you a lot about what works and what doesn’t. After all, they’re targeting the same customers you are. If you ignore your competition, you’re giving up a fantastic opportunity to learn from their successes and mistakes. Take some time to research and analyze the social habits of your competitors, start by picking three or four of the top ones. Find out which social networks they’re active on, and study their content. Is it funny or serious? What kind of cultural references do they use? Do they talk about their product primarily, or do they focus on other things? For example, if you sell mountain bikes, do your competitors talk about how their mountain bikes perform, or do they post amazing mountain biking videos that just happen to include their products? Then, see how well each competitor is doing (e.g. how much engagement — comments, shares, likes) — they get on their Facebook updates.) This will let you determine which strategies work and which ones don’t. Now you have a handle on your target audience and your competition, it’s time to start building your messages. This isn’t detailed content; rather it’s the top level set of key messages that you think will resonate with your customers based on the personas you have created. Simply choose two or three messages, then break each one down another level creating a simple messaging hierarchy. There’s nothing wrong with adopting some of your competitors’ successful messaging ideas but also try to create original messages that set you apart — this will help you to create a unique brand voice. Don’t be afraid to get creative as your social media presence should be exciting, not boring. It is here that you will spell out what you’ll actually be doing for each social network to satisfy the goals of your social strategy. It is import to include all tactical elements and any related, process, people and tools. We will use our primary Twitter handle as both a customer service channel and a broadcast/interaction channel instead of having 2 separate handles. Twitter will be used to make us feel extremely accessible to consumers – real humans at the other end in real time (so we will initial conversations wherever possible). This will be beneficial in developing brand awareness and putting a real face to the products bought elsewhere. Twitter cards will be trialled around product launches or specific campaign pushes. Last but certainly not least, you need to set aside an appropriate amount of time to dedicate to developing a strong content plan that will deliver engaging material. The content needs to align with your overall messaging and be appropriate for the channels you’re using. This is more than just product information – think about how you can deliver real value to your audience. Don’t just stick to one type of media – a mix of videos, guides, infographics and other styles will engage your potential customers more effectively. Also, don’t think of content as something you post once. You need to have an ongoing presence on social media, and that includes delivering fresh content on a regular basis.